Whether you have a brick & mortar retail store, an eCommerce online store, or both, we are here to make sure you always have another customer in the queue. eCommerce Website Design, Solutions, inventory integrations & email marketing = satisfaction. Regardless if your customers walk in or surf in, we’re here to insure success. We have numerous solutions and can tailor tune them to fit your store’s needs perfectly. Plus, we have a plethora of new strategies and ideas that have worked for our clients all over the planet. Put that knowledge to work. Often times, the only difference between a highly successful retailer and a has-been is their online presence. We have strategies for perishable and consumable products, as well as for products that will last for ages. Depending on the nature of the product, the site can be supported by email marketing, social media exposure, coupon codes, free shipping offer… we have all the tools. And when we’re done setting you up, we insure the process of managing your store is as easy and ergonomic as possible. Want your customers to have a mobile online shopping experience as fantastic as shopping on Amazon, but don’t have a gazillion bucks? We’ve got this covered. See, the big sites spoil us, with their “ease of thumb-use” and ergonomic design. Even if you are a one-man-show, your customers will likely assume you’re a huge franchise when they come to your new JCI-designed web store. If you’re offering a product for sale, it’s assumed that you’ve got some degree of expertise in the area. With Inbound Marketing, we help you put that expertise to work for you, bringing people to your door for information, which builds trust. Trust brings greater revenue, which brings smiles. Doesn’t it sound crazy to offer the products that people need and want, at a very fair price and with excellent customer service, on an incredible website that makes their buying experience a pleasure… and still not get the revenue you need? Yeah. That’s crazy. And it’s likely because the people looking for your product aren’t finding you. SEO fixes that. Philip Pilla and his crew on the East coast design and produce the top eyewear for shooting sports and archery on Earth. All the record holders and world champions wear this stuff. With these products, fashion and function have to be equally appealing to their clientele. So, when it came to rebuilding a new site for Pilla, we had quite a lot of mission points to accomplish while doing it all with the most style and design excellence that anyone could fathom. We really are proud of this site. So proud in fact, that we have another page that you should check out that talks more about this project. 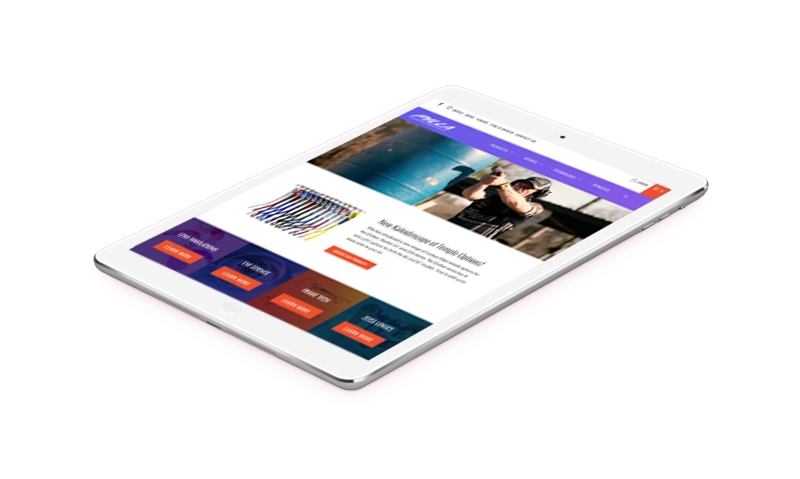 This site is built on Shopify, which is perfect for businesses that have an online store PLUS a brick-and-mortar store that needs to have its inventory synced in real time with the website. This site is very robust. All inventory is tracked. All orders are easily processed and tracked. Also, it gives the Anderson’s tons of options when it comes to seeing reports on traffic, conversions, and more. Talk about a mammoth project! Dr. Ray Powell has a great thing going, so much so that he’s got 6 locations throughout Northern California! 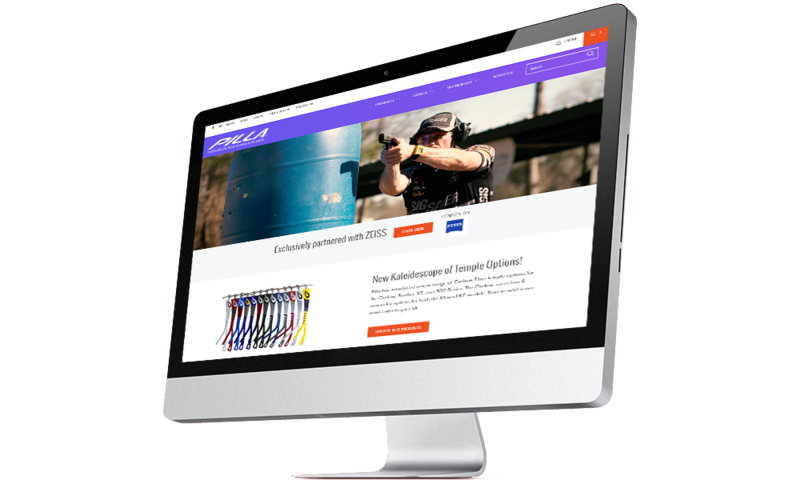 Well, when it came to making an eCommerce website for him, he needed us to make it not only display all of his products well, but to sync and integrate all of his inventory in all 6 locations. Well, we got it done! Now, all of his cash registers are run from iPads that we set up, and the inventory management is flawless. Shoo! The team at F3 Cycling is known for their impeccably designed products, attention to detail, and overall badassery, and they needed a site that would convey just that. This eCommerce site was a true collaboration in every way, and every inch of it was customized to meet the vision that was cast for us. The finished product is something we’re all really proud of, and it’s a clean and powerful expression of the F3 Cycling brand. Can we just stop and appreciate the power of that name? When you’re ready to find a custom crafted engagement or wedding ring, this is the kind of power you want. Coming over from a 2-year-old Wordpress site that wasn’t on brand, updated, or loading fast enough, we gave him a massive upgrade on his new e-commerce site. Not only did we fix his branding, updating, and load time issues - but our Brand and UI Specialist helped craft a a seamless experiences that guides users through the purchasing of these one-of-a-kind beauties. He’s Chasing Victory, but his clients are finding victory in their purchases.